As a large portion of the CZ team, myself included, was making its way to #EVE_NT, CCP released a couple of dev blogs with rather drastic ramifications. The first dev blog details a fundamental change to how Citadels are captured in that they will shot instead of magic-wanded (entosis). However, in order to address the N+1 scalability of DPS, CCP have elected to counter it with damage mitigation beyond a certain level of DPS. It is a simple solution, the question is, is it elegant? What are the benefits to going back to an HP grind as opposed to the Entosis Link? Just to give dreads something to do, or is there more to it? The second dev blog, from everyone’s favorite executive producer CCP Seagull, consisted of a video in which she explained that CCP would bring back expansions. 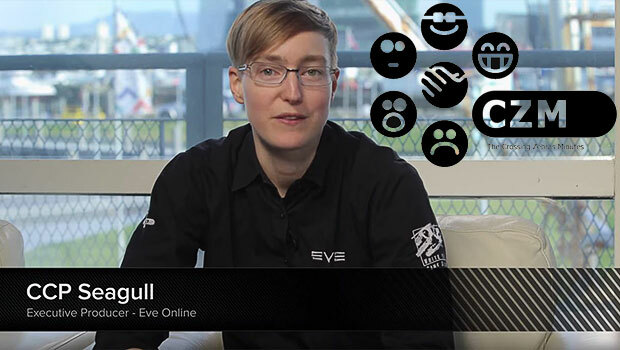 This is something I took the opportunity to speak with CCP Fozzie about on CZTV from #EVE_NT. It won’t be the expansions of old ad verbatim, but a hybrid model between continuous updates and large scale expansions. The obvious gain from this is the ability to market EVE and generate interest in a more traditional sense. The question is, what are the drawbacks, if any? Putting marketing aside, how do you personally feel about this? What ties both of these things together is that Citadels will be released as a part of the first of these new expansions, along with a new vision for capital ships. MukkBarovian: Over the summer I have been very angry with the direction that CCP has been going. This was exacerbated by the commentary we were receiving from CCP employees. I never believed CCP should fire Fozzie, but I was not fond of him and the things he had to say. CCP Seagull seemed to be MIA as far as communication with the greater community was concerned. I had problems with specific mechanics, with iteration on important systems, and things were bad. Reddit was up in arms, sometimes daily. CCP have managed a quick and remarkable turnaround from that sorry state of affairs and I am very happy to see it. They backed off their commitment to unpopular features. They changed the tone. And CCP Seagull is now visibly stepped in leading the effort. So things are good. Tarek: Contrary to many others I always had a more patient view of the developments as they went on. That may be easy to say for me as someone who is not invested in nullsec anymore, but even if I were, I don’t think I would have jumped on the bandwagon that was making the rounds through town every other day. I found the raging of this summer the most embarrassing collective behaviour I have seen from a part of the EVE community so far. That being said, I hope the senseless nerd rage is going to subside with the latest announcements. Of course there will now be the ones who start tinfoiling that CCP caved in to the major powerblocs, but that is just as ridiculous as the whining of all the players who complained that they can’t play EVE the same way they were used to in the last six years since Dominion. The most recent balance changes to Aegis sov were necessary, and the cap on jump fatigue is sensible too, although personally I would have made it a bit longer than just five days. The HP destruction requirement for Citadels also fits into the context of the sov mechanics. It would have been too easy to just hack some systems to destroy a station, and considering how many command nodes get spawned by every Entosis hack, regions with many Citadels would become ridiculous pretty fast. There is also something to be said for internal consistency of the game world too. It should require heavy firepower to blow up a massive structure. The one fighter shooting a torpedo down an exhaust port to the reactor should remain in the mythological realm of Star Wars. I also support the introduction of a diminishing return into the N+1 equation. In fact, I would love to see it being introduced even wider scale to end the stupidity of alpha vs. reps fleet battles. Call it targeting system interference if you like. Whether it is elegant or not, I consider it necessary. Concerning the change of the release methodology, I am personally in favour because actual expansions create focus points for marketing and this is something CCP will need. Fixing the game will appease existing players (if it doesn’t enrage them) but it does little to attract new ones. In a way I anticipated that CCP will eventually return to this model. Particularly when the roadmap for the redesign was finished. If we ever do get to the point of the player built stargates, that would be something on the level of Apocrypha where new space and new playstyles open up. You wouldn’t want to waste that marketing opportunity on a slow trickle of introducing such a major change over the course of five iterations. One final thing that Fozzie said, and I am not sure whether he said it on the broadcast, on the o7 show or in a private conversation, was that in the future they won’t publish devblogs under the name of a single developer but under the name of a whole team. I think this is a good idea, because that exposed position for single developers is not a healthy thing as we have seen in the last months. Dunk Dinkle: CCP’s approach to changing much of the null sec paradigm has been stretched out over a year and in halting phases. This is understandable, but problematic, as parts of the game get out of balance. For example, after the Phoebe expansion, the effective local power of Supercapitals increased significantly, since the risk of using them had dropped dramatically. Each phase brings benefits and inevitably drawbacks that require remedy. CCP has been doing a good job of watching and listening what actually happens and avoiding forum/Reddit blorfing. The use of damage in the Citadel vulnerability scheme will probably work well, considering the addition of damage mitigation. The changes do move the concerns of pilots toward wondering what the roles of capitals will be going forward. Dread pilots want something to shoot, and carrier pilots want a role as well. With automagical regeneration on Citadels, there are outstanding questions, clearly. We’ll get answers at Eve Vegas, so judgement should be reserved until this critical piece is revealed. The role of capitals will make or break the plan for Citadels. Striking a good balance to make gameplay fun, fights encouraged, and investment in the new structures is a tough challenge, but I’m hopefully that the Dev Team has a good plan in place that can be tweaked as needed once the theorycrafters find the broken edge cases. Also, there should be new SKINs based on in-game metrics. Rep 100,000,000 HP, enable buying a special carrier SKIN. 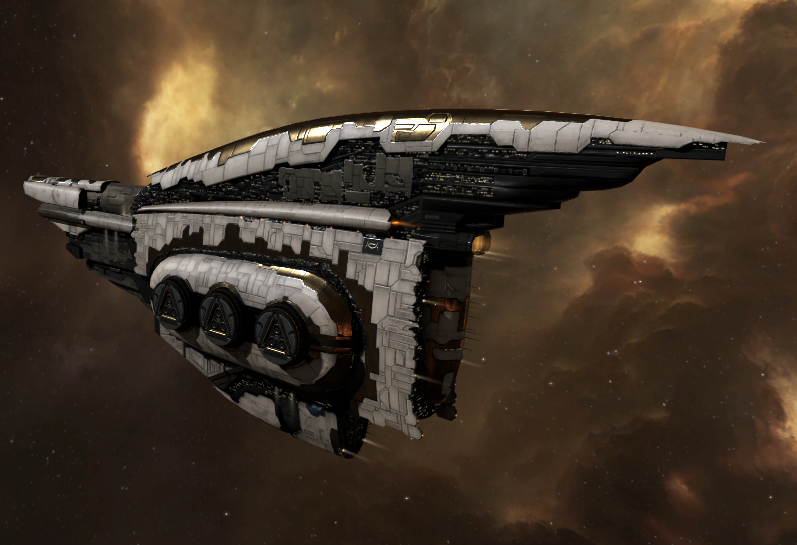 Kill 25+ carriers, enable buying a special dread SKIN. Make some crazy number of ships or mine silly amounts of ore, enable buying special SKINs. And, Tibus Heth was framed. Tarek: Malkalen was an inside job! Niden: I’m going to avoid speaking out of school for once and only talk about the return to expansions. As someone who works in marketing, I understand the need to return to expansions very well. EVE needs a shot in the arm after undergoing major surgery to nullsec sov and that’s what expansions will deliver I believe. Being able to traditionally hype up and market EVE makes it a lot easier to work with. Although I’m a big fan of Agile development, it’s only good if the customer is already hooked. You need the punching power of an expansion and the accompanying trailer to reach out to new people. I also think most of us veteran players miss the feeling of getting hyped about EVE. I look forward to Fanfest 2016 and seeing the expansion trailer on the big screen again.